Funk Boiler Works Inc. is a family-owned and operated company serving Connecticut since 1928, when Perry B. Funk established the company. During World War II, Funk Boiler Works Inc. maintained a number of boilers in ammunition factories and various other companies in the greater New Haven area. What separates Funk from the competition - Funk Boiler Works, Inc has over 100 years of experience in commercial applications. FBW, Inc has been dealing with energy conservation since 1976. By providing our customers with unparalleled service and customer care, we have grown to be one of the most respected boiler installation and repair companies in the area. Our staff specializes in installing and repairing industrial boilers for medium to large-sized companies. All of our repair specialists are certified boiler technicians and are trained to help you with preventative maintenance, repairs, replacement systems and installation. We back all of our work with warranties to ensure that our customers are never left without assistance. Conserving the environment is especially important to us and the specialty service we bring to our customers is our Energy Efficiency Analysis. We know saving money to a company's bottom line is important. Let us do an Energy Efficiency Analysis of your boiler installation and show you how much money we can save you! We offer free analysis for your energy calculation. We will write specs of redesign and build free of charge. 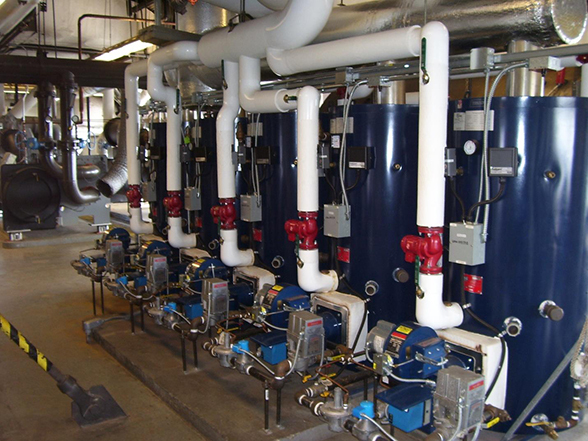 Funk Boiler works of West Haven, CT recently completed an energy efficient restructuring of the building’s boilers. The building previously had a single large 400 horsepower boiler, which was one of 3 monster boilers originally installed when the building was built. Two boilers had already failed and they were operating on the third. Funk Boiler was servicing this & trying to keep it alive until the new installation was completed. Funk analyzed and designed for efficiency, installing eight smaller Triad boilers in what is called a series. This allows use only of the boilers needed for both the units and/or hot water use. The installation was completed with heat timer controls and a complete energy management system resulting in substanatial fuel savings. The eight smaller boilers continue to provide scalable heating beyond the output of the three original boilers, with much more efficiency. Each boiler will only run when called upon for demand throughout the daily cycles. The estimated fuel and energy savings is easily about 30-40%. Watermark also realized a very substantial rebate from the UI for energy savings upgrades equal to 15% of the project cost. 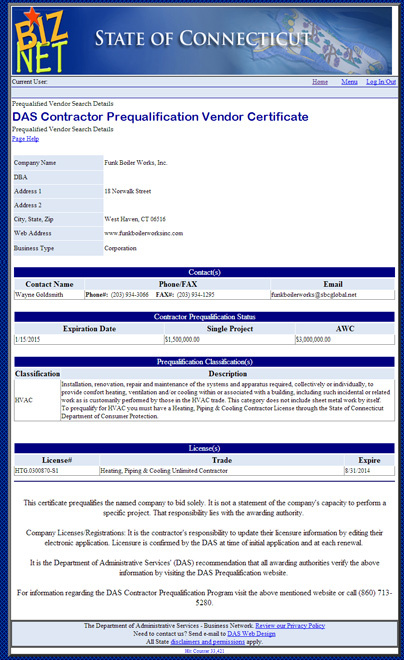 Funk Boiler Works is certified in the State of Connecticut’s DAS Contractor Prequalification Program (C.G.S §4a-100), passing prequalification criteria for bidding on or performing construction services in excess of $500,000. Funk Boiler, bonded for up to $3 million, often performs commercial installations exceeding that amount. 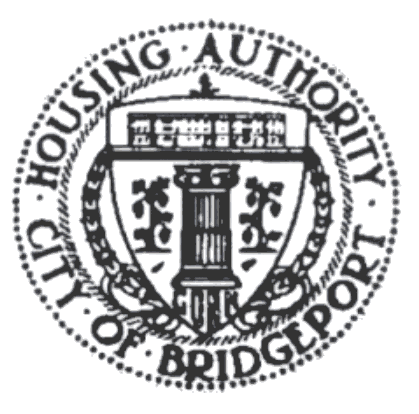 The Bridgeport Housing Authority operates (5 family housing projects, four Senior/Disabled and Supportive Housing complexes and numerous offices in the city, with over 2600 housing equivalent units - apartments that serve low income families, seniors, and people with disabilities. In January, 2014, with temperatures in the single digits for nearly a week, the clay lining of a chimney collapsed with the heat stress of excessive demand. 500 residents were suddenly without hot water. Funk Boiler Works arrived on the scene with one of its 2 million BTU portable boilers. Quickly patching into the existing facilities, Funk’s portable boiler continued to supply hot water to residents for the next several weeks while repairs were made to the chimney. 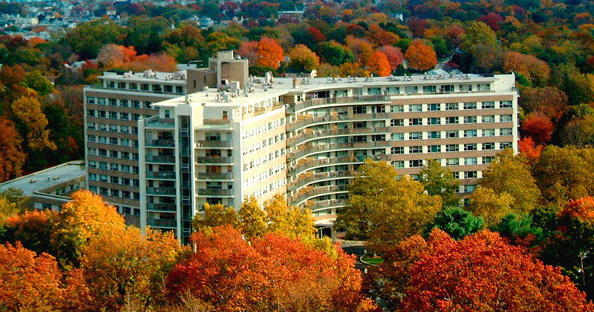 With emergency action from Funk Boiler Works, the Housing Authority was able to avoid the disruptive and costly scenario of relocation of the 500 residents; many of whom are elderly and disabled.